Bankier Companies, Inc., incorporated February 1, 1979, was founded by Jack Bankier, a research polymer chemist and former partner in a precision molding company. He observed, while there were many excellent molders, few wanted to provide services beyond molding, and even fewer wanted to shoulder the responsibility of advising customers about part design or their choice of materials. 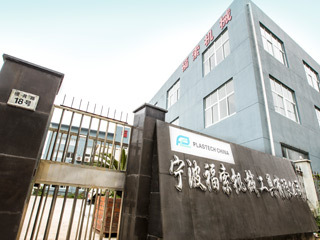 The coupling of precision injection molding with product development filled an apparent void which led to the company’s successful, steady growth. 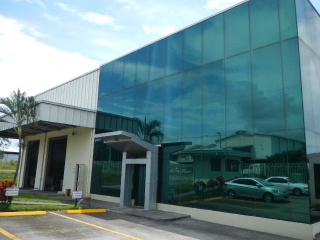 Further, Bankier Companies’ drive to be a full-service plastics manufacturer has led to the vertical integration and growth of related (and now stand-alone) services: thermoforming, decorating, metal parts integration, electronics integration, full product assembly and testing, packaging, warehousing, and distribution. Take advantage of our expertise in thermoplastics engineering, tool design, resin performance, and cost effective production techniques to develop and manufacture your product with uncompromised quality. Challenge us with your next project. We’ll deliver it – on time, on spec, and on budget. C.P.R. – our centralized integration and coordination of your project from design to delivery–prevents you from making costly mistakes. C.P.R. – saves you the time and cost of coordinating many suppliers. C.P.R. – protects you against the risk of miscommunication. C.P.R. – eliminates responsibility gaps between independent vendors. In short, C.P.R. lets you breathe easier. The job of business is to provide solutions. To thrive in the midst of unyielding competition, the challenge becomes finding increasingly better solutions. So, unlike those who simply wait for your instructions, we ask questions, listen, and find the answers you need–answers to improve your product’s reliability, performance, cost-effectiveness, appeal, and value. As your manufacturing partner, we make your goals ours. To accomplish these goals, Bankier Companies embraces the Total Quality Management philosophy, a company-wide drive toward excellence which begins with our relentless commitment to product quality. To assure the consistent quality of your product, we are ISO9001 certified and follow 6 Sigma protocols. We are also FDA registered and comply with QS9000 International Standards. More importantly, we encourage each employee to excel in quality. We’ve moved quality responsibilities from the QC department to the production employee. For us, the result has been a high-morale work force – dedicated, enthusiastic, and eager to please. 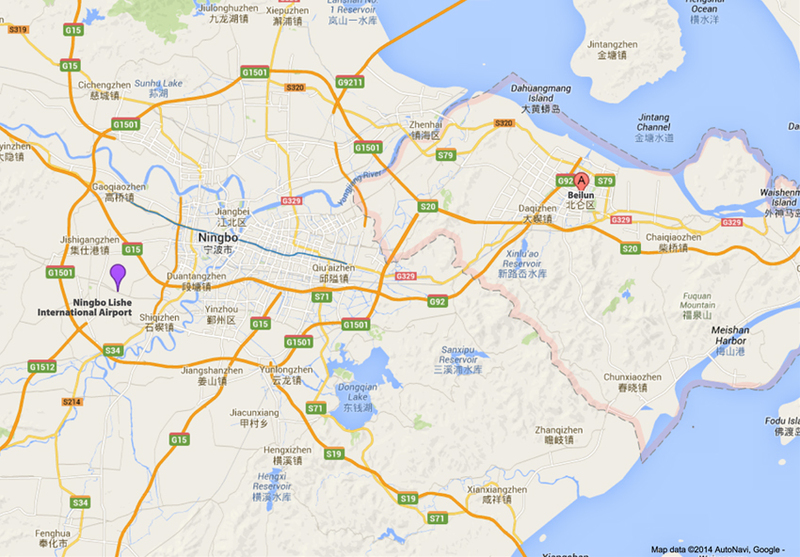 For you, the result will be outstanding product value and unsurpassed satisfaction. To give you the most product for the least cost, we employ people with the knowledge, the creativity, and the experience to value-engineer your project to meet your cost objectives. 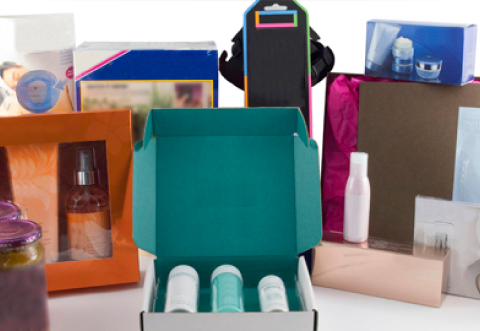 To deliver your products on time, we offer an integrated group of comprehensive services, from planning to shipping. Our record of excellence: we deliver the right job, at the right cost, at the right time. Harness our engineering expertise to meet your product objectives. With our product design, product development and value engineering services, Bankier Companies will help you find the best way to make your part do its job better. For example: We re-engineered a food scale mechanism to reduce cost and increase accuracy. We also chemical resistance tested and selected special materials to enhance the performance and visual appeal of perfume bottle caps. We designed a dental roll dispenser to consistently dispense cotton rolls despite variances in cotton roll uniformity. We found a more abrasion-tolerant, UV-resistant TPR resin to increase the life of cableway tractor tires used in the banana fields of Central America and Africa. And we designed a new ergonomic shape into an embroidery machine clamp to reduce repetitive hand and wrist stress injuries. Take advantage of our expertise in thermoplastics engineering, tool design, resin performance, and production techniques to develop and improve your product’s performance. Bankier Companies will partner with you to find the best, most efficient way to make your components better, stronger and faster. Contact us for more product case studies. Precision parts begin with precision tools. Our understanding of polymer rheology allows us to specify the best mold for the part. Ranging from 7-ton to 1500-ton clamp, our SPC-equipped injection molding machines can handle the most unique processing requirements. 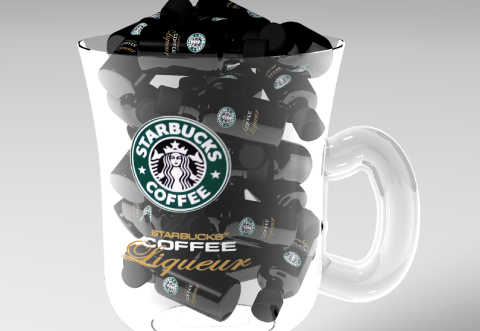 You can also choose us for cost-effective and precise insert molding or encapsulation. To mold those applications efficiently, we operate shuttle presses from 7-ton to 75-ton clamp. 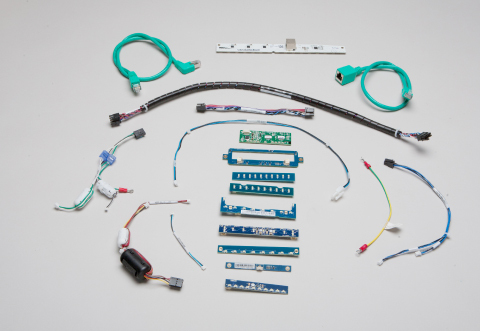 Our engineering expertise and quality-conscious operators will contribute to the successful production of your part. As an example, for a scale housing, our engineers converted an offshore mold so that the critical elements of the part could be insert molded. The prior method, using post-molding drilling and insertion, was inaccurate and labor intensive. Insert molding yielded a more reliable product and cut downstream production costs. Products dependent on tight dimensional accuracy or uncompromising aesthetics need a team like ours with the expertise to manufacture close-tolerance or visually pristine parts using process controls, CMM inspection equipment, and visual screening. We have the experience and infrastructure to handle the most challenging molding projects. Our manufacturing team demonstrates, every day on every project, our ability to produce parts meeting your most stringent quality standards. Bankier Companies is the standard when your project demands complex, high-quality plastic fabrication. We are the leaders in intricate CNC machining of solid plastic blocks. In addition, we offer sheet fabrication including cutting, drilling, grinding, bending, forming, gluing, and edge polishing. We understand the performance of plastic castings and sheet during and after the fabrication process. This expertise enables us to anticipate and avoid potential problems which would affect the quality and delivery of your job. Are component sizes or up-front tooling costs current project obstacles? 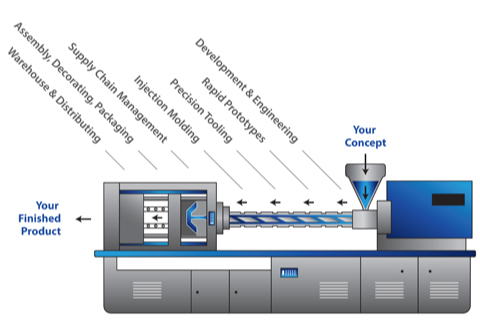 Consider thermoforming as an option. 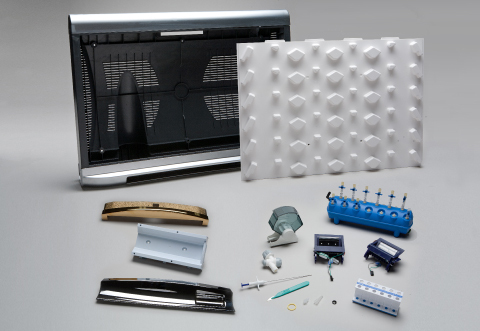 Parts properly engineered with our thermoforming techniques, equipment, and materials can rival injection molded parts in appearance and performance, solving your production delays. Whether thin or heavy-wall, thermoforming of your plastic parts is your faster, high–quality, and cost-effective alternative. Eye appeal is all in the finishing. To be successful with decorating and finishing plastic parts, it’s a must to have a full understanding of the materials to be decorated. We take proactive steps to assure that decorating is not an afterthought. For example, we anticipated the post-molding shrink characteristics of the material involved in making a polypropylene cap. We then engineered the mold to allow for post-molding shrinkage to yield flat and even stamping surfaces, making foil adhesion uniform, part after part. Early knowledge of final material use is an essential part of our manufacturing process. We offer a broad spectrum of ways to apply vibrant, durable hues to any components, including: UV silk screening, hot stamping, vacuum metallizing, electroplating, pvd, pad printing, rotary stamping, and painting. Our controlled jet-spray painting system utilizes close-tolerance, electro-deposition metal masks, with the masks undergoing frequent washing in a water-based cleaning operation. 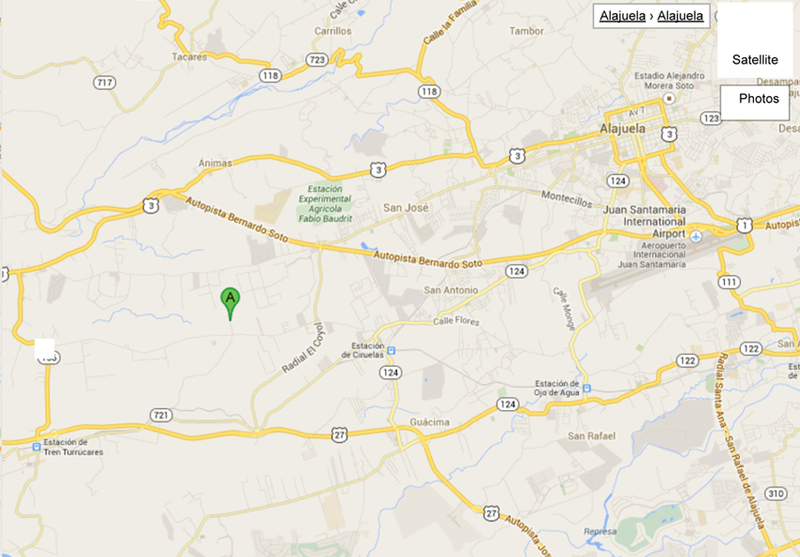 The process is precise, economical and environment-friendly. In addition, using our precision pad printers, we can apply fine details to flat parts with smooth surfaces or to formed parts with textured or contoured surfaces. Our pre-production engineering, selection of materials and product experience pave the way for smooth application of diverse decorating and finishing techniques. Whether the job requires RF (radio frequency) or heat sealing, essential support processes are often required. We’ll simplify your next sealing project with our productivity-driven approach. From fixture design through assembly, your sealing project will be done with impeccable detail, on-schedule and on-budget. Our efficient, automatic and semi-automatic techniques translate into lower costs for our customers. Assign Bankier Companies to any assembly project: whether for manual or high-speed automatic assembly, whether for small or large products. As Integrators, with planning and preparation, we maximize productivity and lower the cost of your project . . . and since we’re ISO9001 using 6-sigma protocols as well as FDA licensed for food and medical packaging, you have the added assurance your job will be done right. We start with bills of material, time-motion studies, floor planning, line layout, and material flow planning. Next, we engineer and build custom assembly and product testing fixtures. Then we develop a personnel training program which conveys all of the required assembly and QA parameters. . . all before we start your job. Assembly to exacting specifications is our strength. Small or large, we have the climate-controlled facilities to assemble any project. Whether it’s a multi-function assembly line for an illuminated P.O.P. display as shown in the photo above or the precision-insertion of 96 pins into a magnetized DNA separator (proprietary item, cannot be pictured), each assembler performs their specialized task with exacting attention to detail. And each assembler is trained to be a QA inspector – trained to detect questionable items and authorized to stop the line for corrective action, further assurance your job will be done on time, on spec, and on budget, the first time, every time. As end users ourselves of tooling for plastic processing, we understand the productivity value of well-built molds. We consider mold design and precision mold building of primary importance and critical to the success of manufacturing any quality molded plastic part requiring optimal performance and/or aesthetics. With years of mold design and building experience, Bankier Companies is known for their high precision molds and tool longevity. 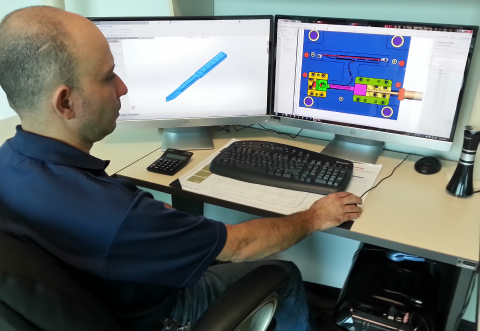 We use the latest CAD/CAM technology and software along with modern, high-speed, multi-axis CNC machinery to build the most precise, problem-free molds possible. In addition, we offer mold-flow analysis along with mold-heat and cooling simulation, your roadmap to achieving shot-to-shot quality consistency with minimal productivity down-time. 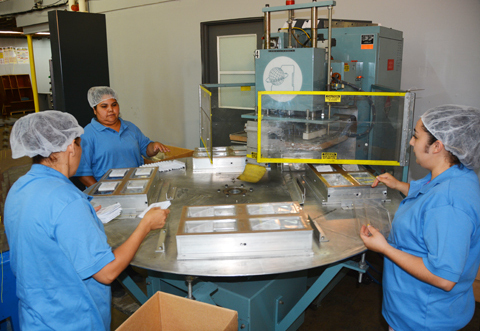 We can design and build all types of mold categories to SPI standards. And we have our own in-house mold-texturing, laser-engraving, and laser-welding operations. Let Bankier Companies provide you with your next high performance tool delivered on time, on spec, and on budget. Although our original focus was on plastics manufacturing, from our inception over 35 years ago, Bankier Companies has provided its customers with a broad spectrum of manufacturing services. Some now like to refer to that as vertical integration. We were “vertical integrators” before the phrase “vertically integrated services” became popular terminology. Because of our engineering and manufacturing expertise, and because we take the time to thoroughly understand your business, we can offer end-to-end supply-chain solutions that result in optimizing cost and supply chain visibility. You can entrust Bankier Companies to handle your next project in its entirety. When problems arise, we insulate you from the finger pointing frequently encountered when sourcing from multiple suppliers. Sit back, relax, and let us do some of the hard work. You have enough on your plate. We’re big enough to handle your most complex requirements, yet small enough to give your project the high-priority attentiveness needed to ensure on-time, on-spec, and on-budget results. As an extension of your supply chain, Bankier Companies offers you the leverage of our global resources to ensure that your flexibility, service and cost expectations are achieved. Entrust Bankier Companies to take good care of your product from start to finish. Our automated storage and retrieval (ASAR) system stores each pallet in its own rack to keep your product components and packaging in good condition. In addition, we use the latest inventory control and MRP software to track and plan material usage. These warehousing and inventory control systems help us prevent disruptive inventory problems and eliminate costly production delays. 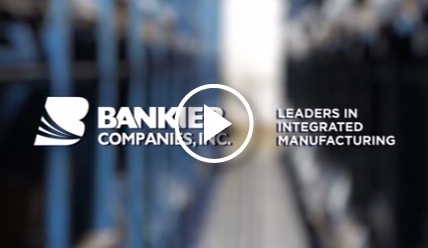 Contact Bankier Companies for all your integrated manufacturing needs. © Copyright 2018, Bankier Companies, Inc.